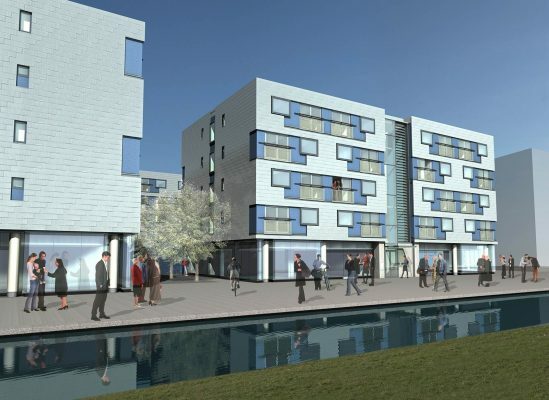 MJP prepared the masterplan for University of Cambridge’s expansion at West Cambridge on a 66ha site. 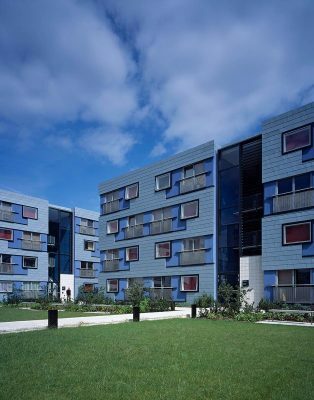 The South Residences, “Forster Court”, is one of the buildings we were commissioned to design. The Master Plan promotes a lively urban character for this part of the site, and the elevations and open spaces of these buildings have been developed to contribute to this environment. Canal level shops and shared facilities are located along a pedestrian route between two main public squares. The three buildings of the South Residences are developed to an urban density. 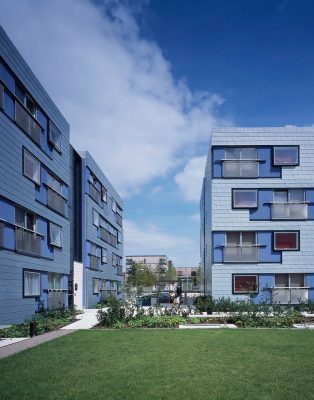 The four storey wings of accommodation enclose a landscaped courtyard which provides a focus for the residential community connected to a public route at canal level. It is fascinating to see one of this country’s best architects and designers engaging so well with a big international construction firm. Personal and professional relations have been excellent, and that has helped the project enormously. 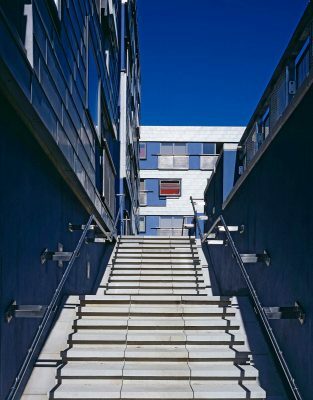 The residences are clad in zinc, providing a character appropriate to their location adjacent to academic and research buildings. The ground floor is raised slightly to achieve privacy in the ground floor flats. Designed to a tight budget, inward opening French doors to each living room optimise space within the flats, by creating a juliette balcony. 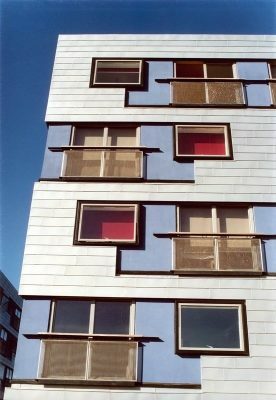 The staggered arrangement of the windows create lively elevations, although the 144 flats are identical in plan. Ancillary facilities: launderette, stores, office and caretaker’s workshop.